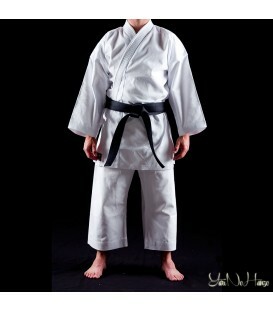 YariNoHanzo is a young brand that offers high quality items for Martial Arts practitioners and enthusiasts alike, from beginner to expert. Our staff consists of enthusiastic practitioners and experts of Martial Arts with many years of experience, who are able to offer professional high quality products for any form and kind of discipline of Martial Arts. Each one of us dedicates the necessary time to check and test the quality of the products, in order to maintain and improve the level of quality and in order to offer a quick and professional service to our customers. We are always available for a quick feedback, we will answer all of your questions and we are open to listen to any suggestion with our utmost attention and we really cara about our customer's satisfaction. 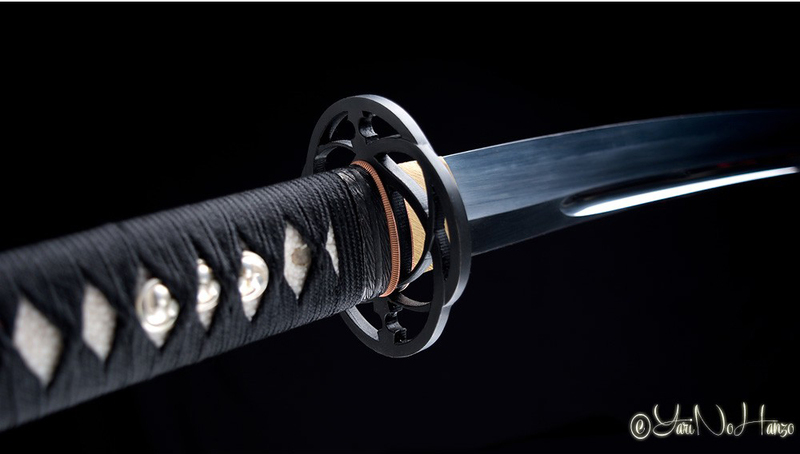 The idea of the YariNoHanzo Katana swords was conceived by the need to offer a practical, durable and professional product which was elegant at the same time. 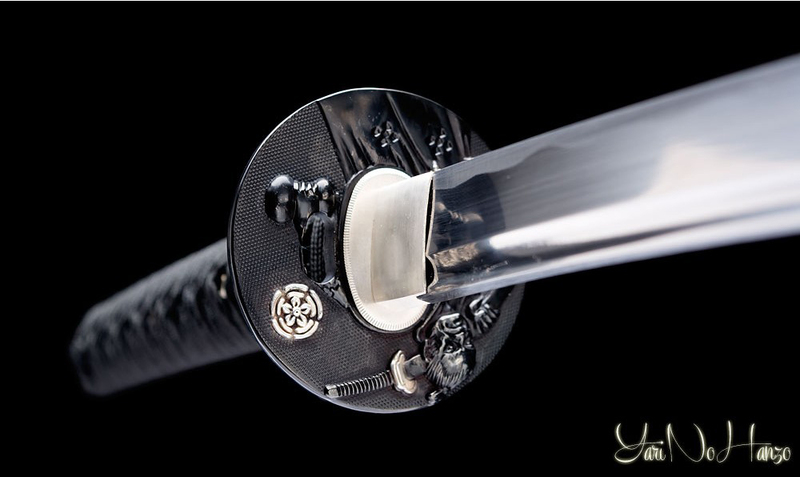 After a long time dedicated to the study of the materials and the search of the right fittings we have been able to improve the quality of our Katana obtaining a final product of very high quality at a very competitive price. Our production is handmade and every single blade is hand forged and hand polished by expert craftsman. All the Koshirae are made of quality materials and every Katana is assembled carefully in order to avoid any kind of slack even after a long time use. Our lines of Katana are characterized by different quality, finish, measurements and styles but all the models are perfect for the practice of Martial Arts. The BASIC line is made especially for beginners or for those who just need a beautiful object to display. Despite the low price, the quality and durability of these Katanas reflect perfectly the needs of the Martial Arts practitioner. The Koshirae are made of iron, brass and aluminium alloy (for Fuchi and Kashira) and blades are made of 1045 high carbon steel. 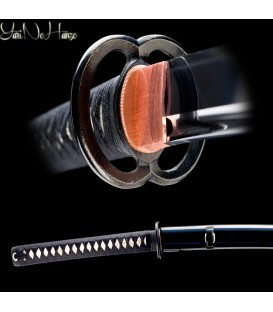 Tsuka core and Saya are made of hardwood. Tsuka Ito is made of synthetic cotton wrapped on real ray skin. 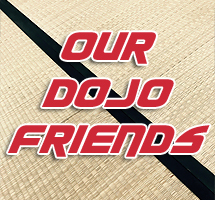 A line dedicated exclusively to the practice of Iaido, Kendo, Kenjutsu and similar styles. All the blades are well balanced with wire brushed Hamon. All the Tsuba, Fuchi and Kashira are made of iron and are decorated in the way for keeping the surface smooth and so preventing the hands from aching during practice. 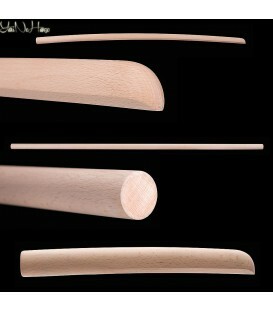 Saya are made of durable hardwood and the the lacquer is fixed with a lot of care. Tsuka Ito is wrapped strongly on real ray skin and it doesn't move while handling the sword. 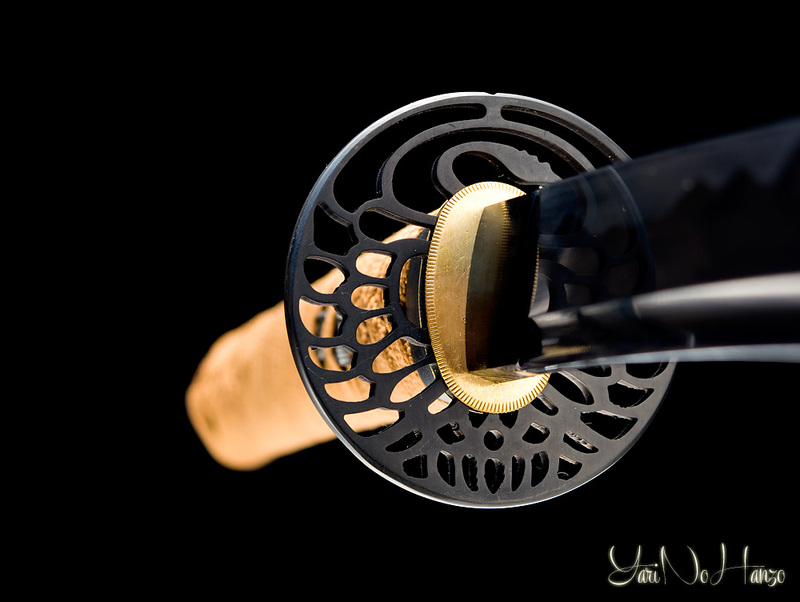 Blades enter in the Saya without any kind of slack and the Habaki fits perfectly the Koiguchi. A sword, that will follow you in the practice for a long time. This line offers something more compared to the Practical Line, especially for the types of blades, Koshirae and accessories included. 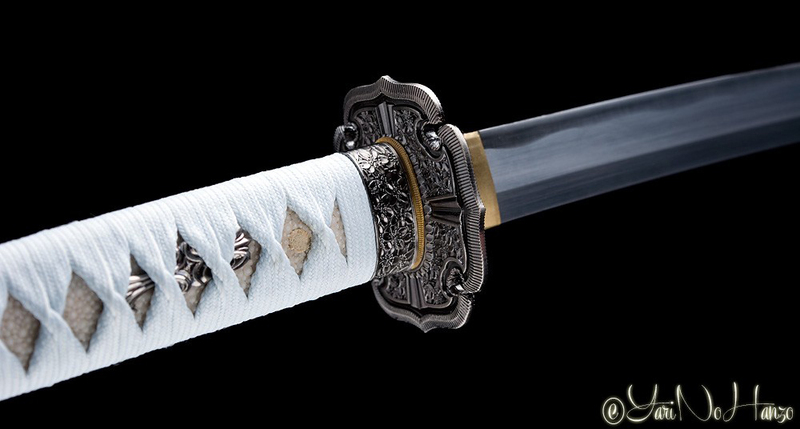 All the blades of these swords are made of DAMASCUS carbon steel. Professional Katana and Iaito with well balanced blades high quality fittings such as Seppa, Habaki and Shitodome made of copper, leather Tsukagawa and handmade Fuchi and Kashira. Some models are supplied inside a black box with silk bag, table stand and cleaning kit. Thanks to the experience accumulated over the years, we have created the new Performance line in which you will find a series of Katana and Iaito designed exclusively for martial arts practice. 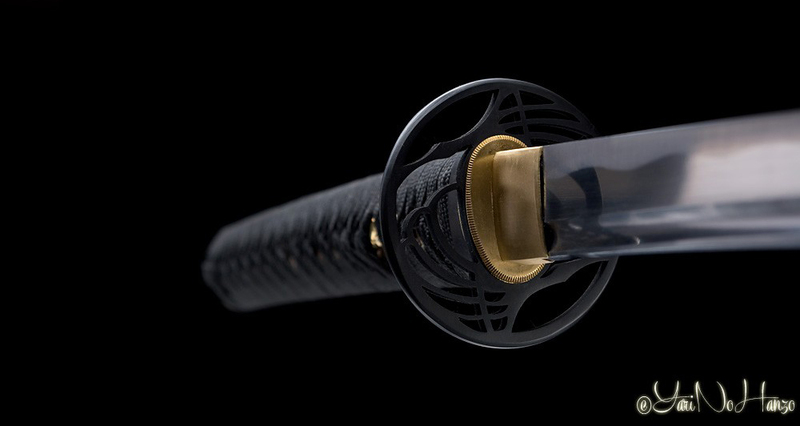 The Tsuka follows harmoniously the curvature of the blade, giving to these swords a better handling feeling and a shape that reminds the real Nihonto. The Hamon are very visible thanks to a new etching method. We restyled all the Koshirare in order to guarantee the maximim performance and give a the touch of originality typical of YarinoHanzo Katana. If you are looking for a high quality product for your practice or a Katana that remembers a real Nihonto, this is your line! All the Koshirae are inspired by real museum pieces and the blades are made of 1095 high carbon steel, clay tempered with real Hamon. 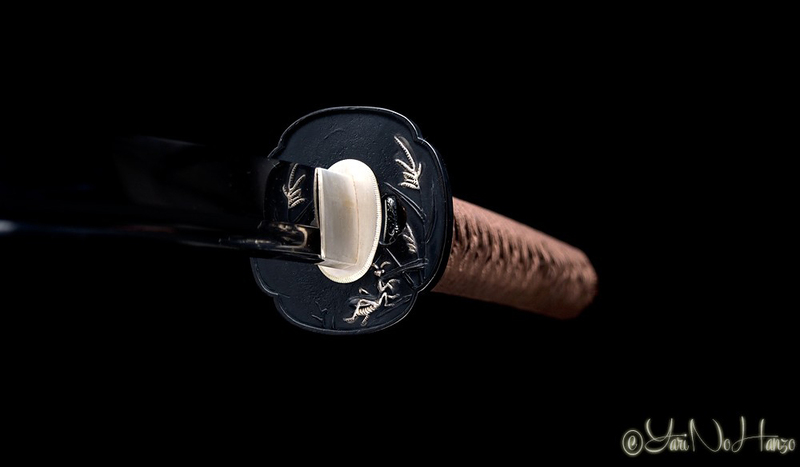 Superior Katana line offers the best quality Koshirae and high quality materials like the real buffalo horn for Saya parts (Koiguchi, Kurigata, Kojiri) and real silk for Tsuka Ito and Sageo. Habaki and Shitodome are well finished and are often silver lacquered. 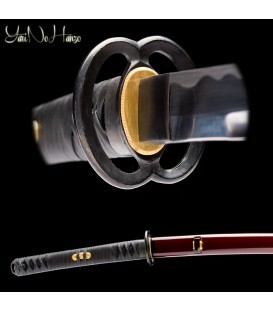 Nodachi, Naginata, Ninja To, Nagamaki, Shikomizue are only some of the special models of this line. Koshirae and finishes can vary depending on the model and can be found in the Intermediate and Practical lines. Special shape and size blades, like the Shinobigatana, perfect for the practice of Ninjutsu and inspired by a 500 years old piece that we had the opportunity to see and check in Japan, or the Sakura Iaito created by a woman and dedicated to feminine customers thanks to its style and extreme balance. gracias a su estilo y al perfecto equilibrio.